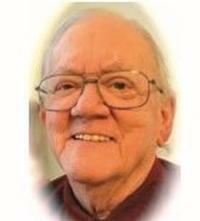 James Stuart Hayden passed away on February 13, 2012. He was born on July 2, 1933 in Sebring, Florida, to aviator Jimmy Hayden and businesswoman Eloise Horn. After the death of his father during World War II, Jim’s family settled in Mississippi, where he later studied aeronautical engineering at Mississippi State University, earning both a B.S. and an M.S. As a young Air Force officer, Jim worked as a flight test engineer at Edwards AFB. His passion was helicopters. Jim subsequently worked for Vertol (now Boeing) in Philadelphia and Lockheed in Southern California. He returned to Edwards AFB as a civilian, where he served for many years as a technical director with the U.S. Army Engineering Flight Activity (USAAEFA). The mission of the USAAEFA was to conduct qualification flight tests of aircraft developed and/or procured as integrated systems; airworthiness evaluations of aircraft proposed for Army use; producing test data on basic aircraft performance and handling qualities; and providing a test pilot orientation course to prepare Army aviators for attendance at the US Naval Test Pilot School. During his career, Jim coauthored several technical publications relating to helicopters, including a limited flight evaluation of the Alouette II; phase IV performance and stability tests for the H-21B; and summaries of engineering evaluations of helicopter icing spray system qualifications and testing. A lifelong learner, Jim continued to pursue a wide variety of personal and professional interests after retirement from civil service. He held a private pilot license and enjoyed all things related to flight. One of his daughters wrote: “My father valued his association with AHS. He read the publications religiously. I remember as a 12 or 13 year old traveling with him to an AHS Conference in Washington, D.C. I also remember him preparing to give a presentation there. He carried his membership card in his wallet until he passed away. AHS was a big deal to him.